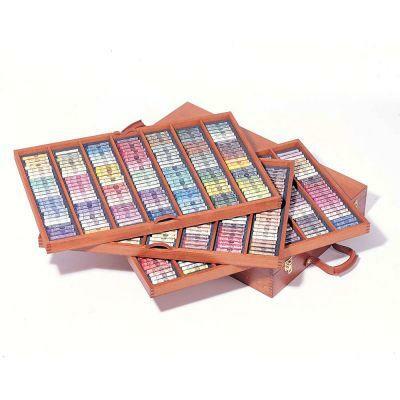 This beautiful wooden box contains all 525 shades arranged in three removable wooden trays. The box has a leather carry handle for easy transportation. 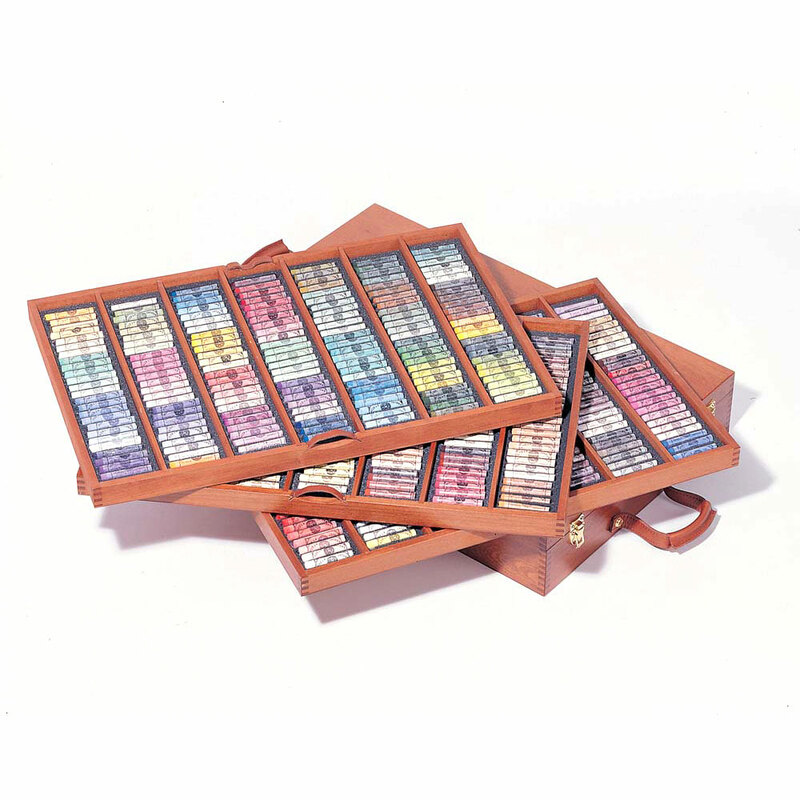 This box set makes a very special gift for any pastel painter.